Markelle Grabo was born on January 18, 1994. At an early age she took to reading, spending countless hours devouring book after book. In fifth grade, she decided that she wanted to be like the authors she favored. She wanted to tell her own stories. An avid lover of fantasy, she typed out idea after idea, however, nothing was substantial enough to call a novel. On Easter morning of her freshman year in high school, she looked back on an old idea for a story about a girl who didn't know she was an elf and had to travel to a magical world in order to learn her destiny. She took those few pages of writing and reworked them, continuing thereafter until it became her first full-length manuscript. A year later, when she was satisfied with her work, she sent it to an editor. After rereading and editing it so many times she lost count, Journey into the Realm: The Elf Girl (the first in a six-book series) was ready for publication. Markelle is currently a senior attending Loyola University Chicago and majoring in English with a minor in Communication Studies. When not at school, she lives in her hometown of New Berlin, Wisconsin with her parents, her two cats, and her rabbit. She has published four novels in the Journey into the Realm Series - The Elf Girl, The Spell Master, The Stolen Child, and The Dream Catcher. And yes, she definitely believes in fairies. At fifteen, Ramsey Wilder spends every day receiving numerous taunts and insults from those around her because of her strange, exotic looks. With her pale skin and striking features – not to mention the pointy ears – she struggles with self-confidence, often feeling out of place in her small home town of Wisconsin. One night, Ramsey nearly drowns from what she can only describe as a magical encounter, and when she meets a beautiful pair of siblings who happen to have the same physical features as she, Ramsey learns that she is far more different than she once realized. She is an elf. Whisked away to a magical Realm with unique beings like her, Ramsey finds herself placed with the duty of finding her long lost sister. Kidnapped by fairies in the middle of a dangerous war between fae and the elf kind, her sister is the key to a secret surrounding Ramsey’s past that could potentially affect the outcome of the war. Without her, Ramsey will never know why her parents sent her to live with the humans in the first place, or why threats far deadlier than the war itself seem to be waiting in the wings. Dangers lie waiting for Ramsey wherever she goes, and as she delves deeper into the world of fantasy, she learns that magic isn’t always wondrous and beautiful; it can be cruel and wicked. Surrounded by mystery, magic…and even a little romance, Ramsey sets out to save her sister, unveil her past, and discover herself. After discovering her true heritage and rescuing her sister, Ramsey Wilder is finally adjusting to life in the Elf Realm. She still has a lot to learn though, especially about her new power, which makes her start in ability school extremely convenient. But even as she immerses herself in school life, the secret she has yet to learn continues to linger in the back of her mind, as well as thoughts of Finn and his dangerous promise to return. And with Stellan away at war and Zora acting strange, Ramsey has no one to turn to but Nathan, an elf from school with much more to him than spells and a sarcastic sense of humor – one that Ramsey can't help but gravitate toward. And as danger reenters Ramsey's life, the terror and mystery only brings them closer together, threatening her future with Stellan and jeopardizing her relationship with her sister. Ramsey can't lie to herself forever about what – and who – she truly desires, but is she ready for more changes to be a part of her already uncertain future? 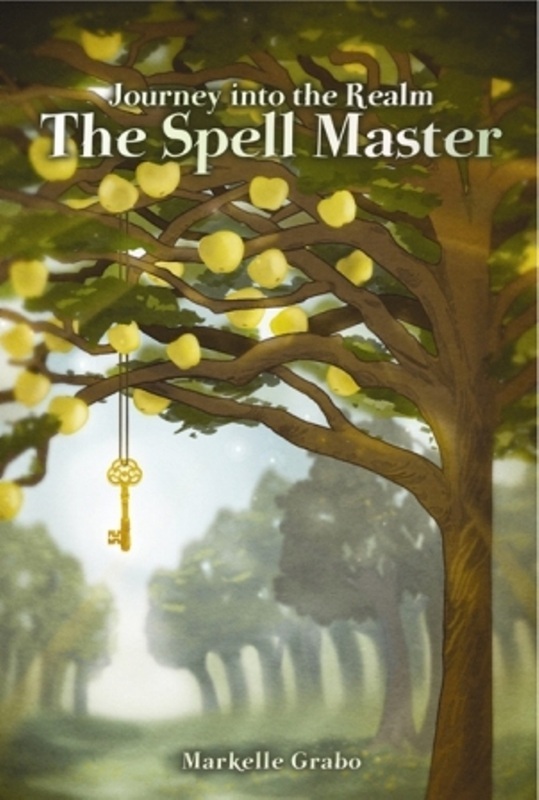 In this thrilling second installment, the key to Ramsey's secret may very well also unlock the secrets to her heart. Now that she has discovered her true heritage, Ramsey Wilder is ready to meet her destiny. Plagued by grief and haunted by memories of death and betrayal, Ramsey’s only motivation stems from her desire to end the war between elves and Element fairies. She intends to visit the Golden Fairy Realm to seek aid from Titania, Ramsey’s aunt and High Queen to the fairies. Although the Golden Fairy Realm has refused to interfere with the war in the past, Ramsey is confident that her blood relation to Titania will be enough to persuade the High Queen to use her royal influence to end the war. Before Ramsey can make her request, she must first find a way to reach her. What at first seems feasible becomes incredibly difficult when King Vortigern finds a way to put restrictions on magical traveling, forcing Ramsey to travel through each Magical Realm before she can cross into the Golden Fairy Realm. Wary but determined, Ramsey and her companions set off on a journey through the Realms filled with enchanting new experiences. But Ramsey’s confidence is repeatedly challenged as the company encounters dangerous monarchs and old rivals. Ramsey quickly realizes that the poison of war extends much farther than she initially believed, and that it will take more than a Golden fairy promise to resolve the devastation. And as the war’s true origins are revealed, Ramsey comes to understand that one stolen child is not the sole reason for her own involvement. King Vortigern’s true motives are tainted with darkness, and Ramsey must end his reign before his malevolence consumes every Magical Realm. 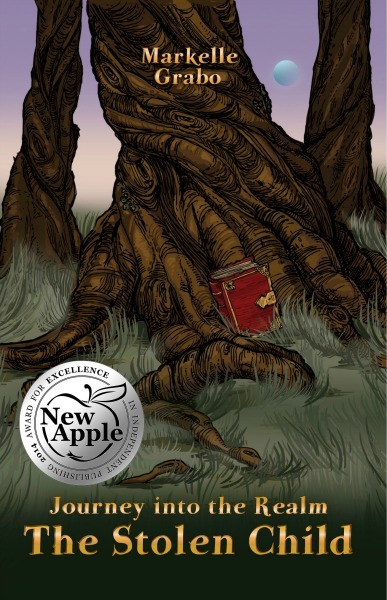 The Stolen Child #3 is a recipient of the New Apple 2014 Award for Excellence in Independent Publishing in the Young Adult/Teen category. After a perilous journey, Ramsey Wilder has nearly reached the rebellion. Led by Joseph, King Vortigern’s son and former heir, the rebellion holds the promise of change for the Element Fairy Realm and the possibility of peace for the Magical Realms. But instead of feeling hopeful, Ramsey is distracted by the choice she made to use the ancient Woodland fairy spell book. Plagued by grief and nightmares, Ramsey performed a spell she didn’t understand. Now she must accept the consequence of her actions. But is Stellan’s presence in her dreams really a punishment…or a gift? Despite her inner turmoil, Ramsey knows retrieving King Vortigern’s crown must be her main priority. The King grows bolder with each passing day, testing the limits of his dark magic in ways Ramsey and the rebellion never expected. If she is to reach the Golden Fairy Realm and persuade Queen Titania to end the war, Ramsey must completely devote herself to her goal, even if it means facing a king whose experience incredibly outweighs her own. Should Ramsey keep the elf she once loved bound to her dreams to preserve her sanity? Should she access her wildest Golden fairy magic to defeat the King, even if doing so could destroy her? In this thrilling fourth installment, Ramsey is faced with choices that will determine the fate of the Magical Realms.